I have one zone system and two layers. The 1st layer is the geographical centroids of the zone system (each zone has 1 geographical centroid), while the 2nd layer displays the rail stations. I would like to calculate and display the distance between the centroids and the rail stations. 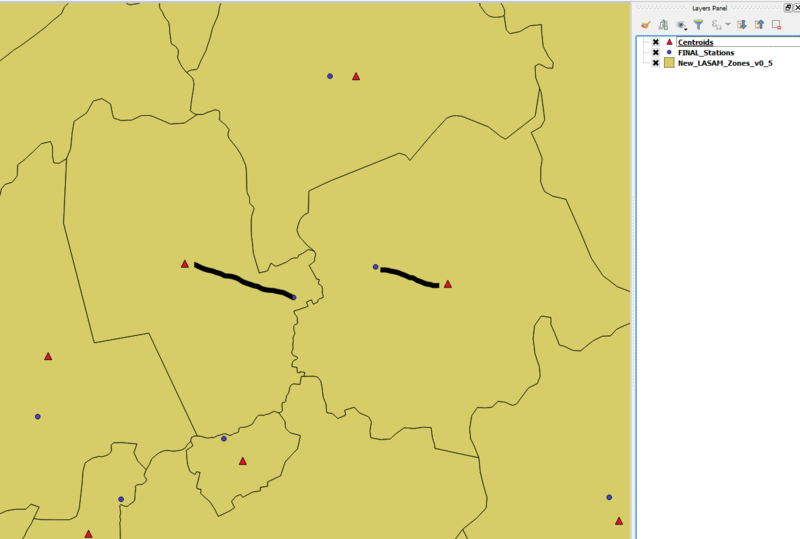 Ideally, I want each station to be connected to the centroid of the zone that it belongs (see pic attached). In essence, it is the shortest distance, but in some cases, one rail station might be closer to a geographical centroid of another zone and QGIS will give me this distance, which I don't want. In addition, one zone might have more than 1 rail stations. In that case, I want only the shortest distance. Any idea on how to perform this task? If you are new to coding, I suggest you use Python language for this (please see QGIS - Getting Started With Python Programming). How to compute the distance between centroids and polygons? Calculating minimum distance between points and polygons in QGIS? How do I calculate proximity for multiple points?